Being in an auto accident can happen to any of us. Have some peace of mind knowing that you have someone to trust for your needed auto accident repair in Reno. 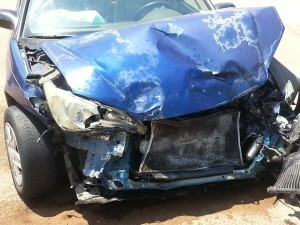 Some cars after auto accidents may be more expensive to repair than replace. Ask about auto accident repair estimates. After an auto accident, you want to make sure to exchange insurance information with any other parties involved. If every person is safe after the auto accident, then you assess your car. Depending on the extent of the damage, you may want to call a local towing service or an auto body shop that offers towing services. Tow Truck Services can take your car immediately to an auto body repair shop if you would like. If you cannot tell the extent of the damage after an auto accident, the safest bet is to call a tow truck service so experts at an auto repair shop can evaluate what needs to be done to repair your vehicle. After an auto accident, a car needs to be assessed for damage and repaired as soon as possible. If you wait too long, any insurance claims may be nullified. You can also be causing your car more damage by waiting to get it repaired. Though it may just look like cosmetic damage to you, it is vital to get your vehicle checked out by auto accident repair experts who can make sure everything will be alright. A car assessment from an auto repair shop like Liberty Collision will help you make sure you and your car are both in good hands. One of the most important car repairs we see in Reno after an auto accident is a windshield repair or replacement. If left to its own devices in the Reno climate, a chipped or broken windshield will crack further. What could have been a small windshield repair has turned into a full windshield replacement. If your windshield was affected by the auto accident, you will want to have that addressed at an auto repair shop as soon as possible, before the damage gets worse. While you may not think you need it, it is important to get your tires realigned after an accident. Tire alignment is one of those auto glitches that can be causing you problems and frustrations without you even realizing it. Having an auto repair shop check your tire alignment after an auto accident is a smart and safe way to prevent future accidents! Liberty Collision can take care of your auto accident repair needs. At Liberty Collision in Reno, some of the main cosmetic damage we see after auto accidents includes dents, scratches, and damage to the bumpers. 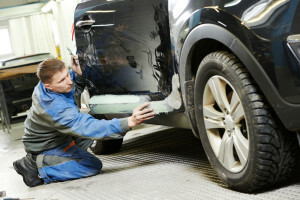 At Liberty Collision, we provide great paintless dent repair so your car will look brand new! To prevent damage to your bumpers in any future auto accidents, you can get a front bumper guard or front bumper cover. Liberty Collision is your ally for a local auto accident repair shop. Donnie Thiessens of Liberty Collision has been a resident of Reno for over 50 years, so he knows how the Reno climate can affect your car and even exacerbate damage after an auto accident.